Musings of a Mad Fisherman: Catch and Release: Religion, Madness, or Merely a Management Tool? Welcome to my blog! Its purpose is to chronicle my adventures as I relentlessly pursue Canada's cold water species - more specifically, salmon and trout on the float rod and on the fly. I will however, stray to other lands and other species from time to time. All of my experiences, successes, failures, the fish, the wildlife and people I encounter along the way will be documented here. Catch and Release: Religion, Madness, or Merely a Management Tool? We, as both fishermen and conservationists sure have a paradoxical relationship with our finned friends, wouldn't you agree? To enjoy fishing, and to ascribe to conservation, one must surely be a "Catch and Release Fisherman", right? But isn't this idea, this concept, this "religion" an oxy moron? Or are we just morons? These are the things the Mad Fisherman contemplates in isolation, when he is far from the riverbank, holed up in an office building surrounded by concrete. We spend an unthinkable amount of time, energy, and money on ways to make us more successful at finding and catching. We have many tools at our disposal as a means to bringing the odds closer in our favour. We arrive at the river and dress into our carefully selected apparel, and ready our weapon. We learn to be stealthy upon our approach to the riverbank, walking softly and crouching low, as we peer through the cover of tall grass in search of our finned friends. Our eyes burning with desire, determination and focus. We wait. . .
One of our friends makes a subtle appearance as she sips a baetis off the surface creating a dimple that irradiates in a series of gentle rings. Our heart begins to race and the adrenaline fills every capillary in our body, as we strip out line and move into better position, trying to contain the emotion. Through years of practice, repetition, reading, watching, learning, dreaming, we roll out a beautiful cast right into her feeding lane. She takes our offering with the same subtle sip as seen before. All of our pent up energy was reserved for this moment as we set the hook. Our friend races around her domain, and leaps into the air as she fights for her life; we admire her determination, as it is like ours. Time stands still as our entire existence at that moment is based upon not losing her and bringing her to hand. She fights with every ounce of energy, yet she succumbs, and lays at our feet. Gently, we hold her, keeping her in the water so she can breath. Gently, we remove the hook, as not to damage her. And for a moment we cradle her in our hands and admire her. We never tire of her beauty. Sometimes we speak to her. Sometimes we greet her with a kiss. At her own will, we let her swim back home. When I contemplate this scenario, and more so now that I have written it, I cannot help but think this to be a bit absurd. We, as "Catch and Release Fisherman" must have a split personality to undergo this process. We are a Dr. Jekyll and Mr. Hyde of sorts. First we are predator; second we are caregiver. Yet this is what I do. So why do I do it? Although much of the joy of fishing for me is watching the fish swim away, I don't do it for this or other philosophical reasons. I practice it because it helps to sustain a delicate fishery. What was once a fisheries management tool has taken on a life of its own. Jim McLennan has written a thought provoking article in the November/January "The Canadian Fly Fisher", titled "Further Thoughts on Catch and Release - Do some of us take it a bit too seriously?". My thoughts are in line with Jim's. Catch and Release as a tool to manage a fishery makes sense (In some cases it is the only method of managing some fisheries) but Catch and Release as a religion or for the sake of morality does not. Catch and release is a sound idea, as I contend that fishing transcends the arcane baseline function as merely a quest for "food". That being said, I have witnessed people who mishandle fish, and even if their intentions are to release them, will likely cause mortality as a result of such carelessness. Common exmaples of this would be those who place fish on rocks or dry grass for the sake of a photo, or pose for "fin and grin" shots. 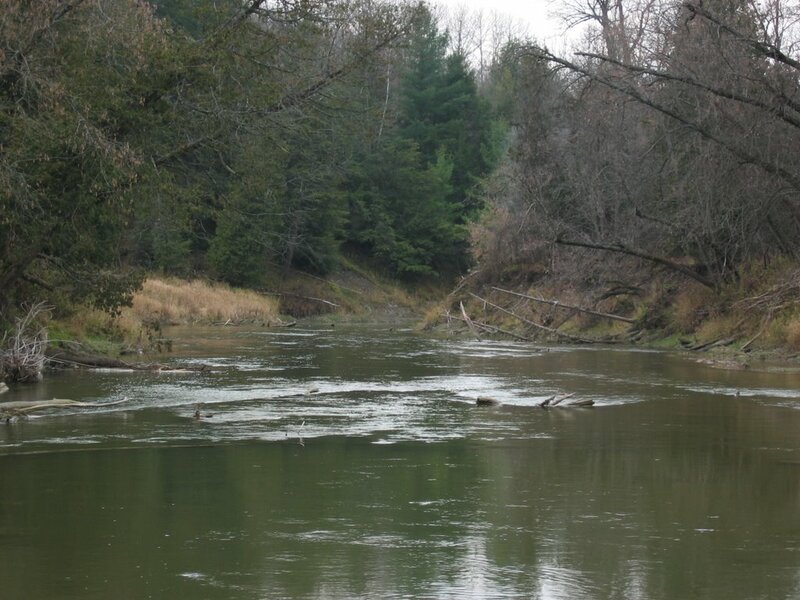 After having witnessed continued harvest on Lake Huron rivers this Fall, I would conclude that C&R is a requirement to sustain future populations of wild fish. These creatures have enough obstacles such a drought and in-stream predation, let alone high angling effort. I have militant ideas, but I would defend them (and do defend them) in the face of wastefulness and stupidity. C&R debate has been rather hot here in Finland lately. Most fly fishermen here are not practise pure C&R here but something what is called "selective fishing". Usually that means that wild/natural fish are released but stocked ones are killed or released. I agree with you whole-heartedly Joe. It seems the only plausible way of protecting our wild steelhead fishery (other than not fishing for them at all) is to manage them through catch-and-release. The newly passed catch-and-release regulations for the middle Notty in 2007 is very exciting, and I'm looking forward to seeing its impact in the coming years. 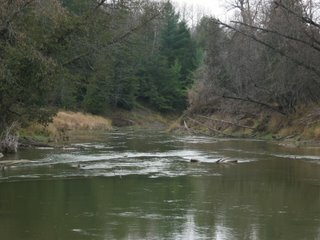 Opax, although for the most part Steelhead in the Great Lakes aren't protected by C&R regulations, similarly a select few have taken it upon themselves to release all wild catches back into the rivers, while harvesting hatchery raised fish. Again, these cases of C&R are practiced as a form of fishery management, and not due to some intangible, philosophical, spiritual or moral reason.